When you think about European Castles, the thought of gallant knights and days chivalry come to mind but did you know there are American castles where you can spend the night and feel like royalty? American Castles may not have the same history as their European cousins but the castles we have listed here hold a storied history none the less. From Castle inspired homes built in the 1800’s to an 8,000-acre estate built by one of the world’s richest men, these American Castles strive to treat their guests like nobility. 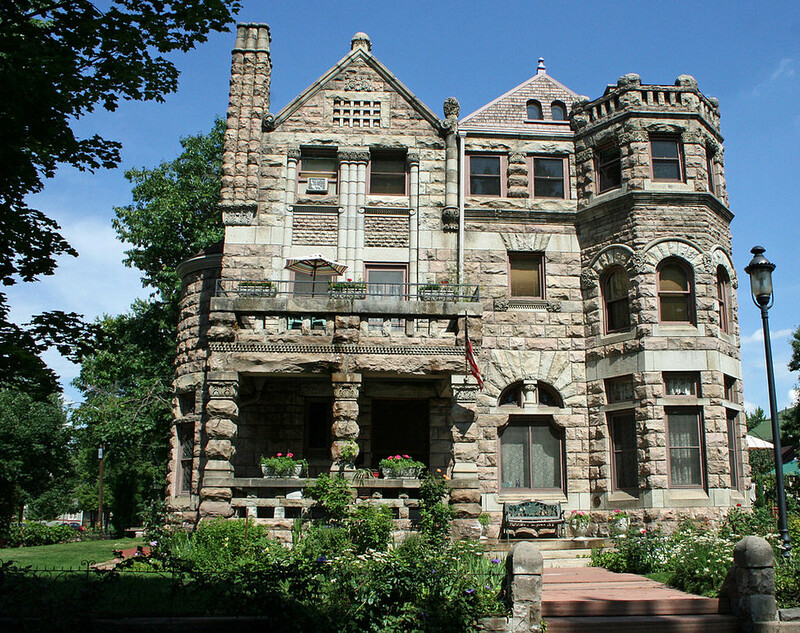 This nationally designated historic landmark building is located right in the middle of Denver’s City Park and Capitol Hill neighborhoods. Originally built in 1889 as a private residence, the home passed through many owners and at one point fell vacant and in need of repairs. New owners bought the residence in 1988 and after a year of extensive historically accurate renovations Castle Marne opened its doors as a bed and breakfast. The Norumbega Inn was built in 1886 by Joseph Stearns. Stearns had invented the first practical use of duplex telegraphy, enabling two people to speak over the same line at one. He sold his patent to Western Union and started traveling around Europe where he got the vision to build the Norumbega. The home passed through several owners until 2013 when Sue Walser and Chef Phillip Crispo became the current owners. Today the Normbega welcomes guests to the 11 room Inn and Chef Crispo, a former instructor at the Culinary Institute of America serves up fantastic meals. The Thornewood Castle began its history as a labor of love. 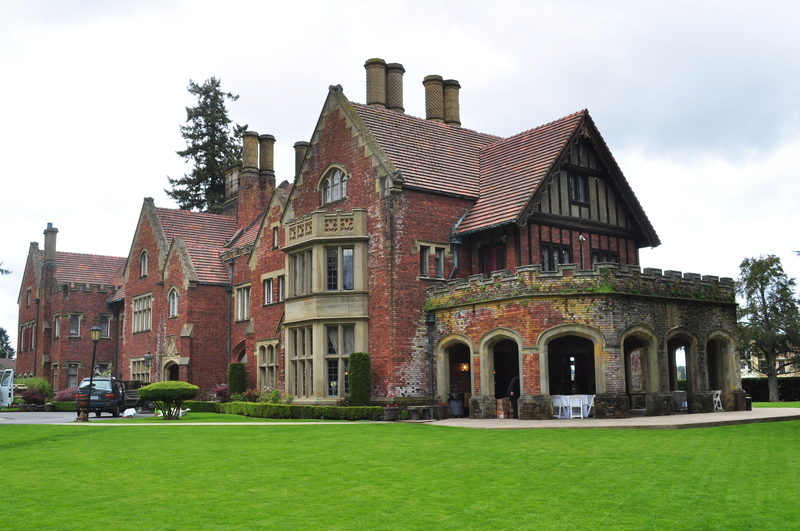 In 1907 Chester Thorne, one of the founders of the Port of Tacoma, purchased a 400-year-old Elizabethan Manor in England. Thorne dismantled the manor and had it shipped, brick by brick, to be included in the building of the castle. Old Chester did this as a gift to his bride, Anna. I bet his friends were like “Thanks buddy, now I have to buy a 400-year-old mansion for my wife”. After 3 years of construction, the castle complete with a 3-foot-thick foundation, brick, oak paneling, oak staircase and the original medieval stained glass from England was finished. Today the Castle welcomes guests to their luxurious rooms and offers a private lake dock and English gardens. Politicians seem to always leave office a lot richer than when they arrived. The politicians of yesteryear were no different. Take New York Congressman John Winthorp Chanler. 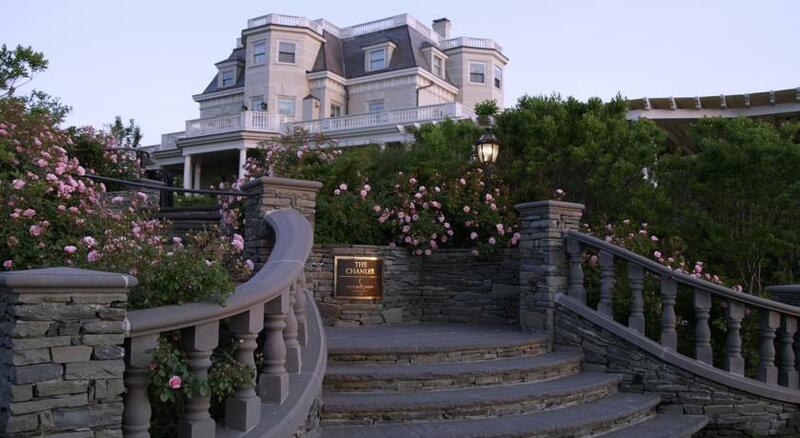 In 1870 Chanler begins building a small cottage on Newport Rhode Island. Completed in 1873 the summer time retreat was used by Chanler and his family for five decades. Visitors have included poet Henry Wadsworth Longfellow and President Theodore Roosevelt. After transferring owners several times the building was bought in June 2000 by John and Jeanie Shufelt, who after 3 years of extensive renovations, opened the current Hotel in 2003. Today the hotel offers twenty, luxuriously appointed rooms along with a bar and several dining options. 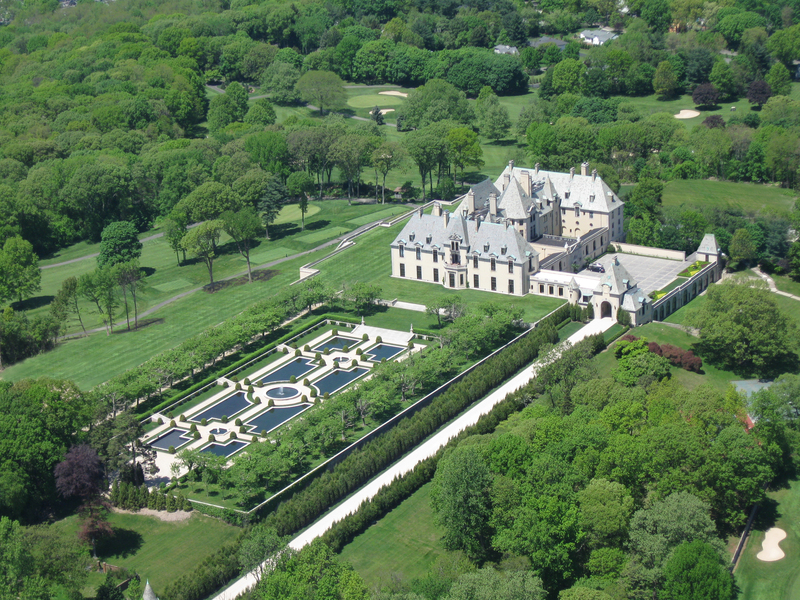 Built in the early 1900’s by financier Otto Hermann Kahn The Oheka Castle, with its 109,000-square-foot, 127-room estate, was used as a summer home to host royalty, heads of state, and Hollywood stars. Makes you wonder what his permanent home was like, doesn’t it? After Kahn died the estate passed through several owners before being abandoned. In 1984 the current owner, Gary Melius, bought the estate and spent over $30 million dollars restoring the castle to its former glory. Listed in the National Register of Historic Places the castle has been the location of films including Citizen Kane and the TV series Royal Pains. 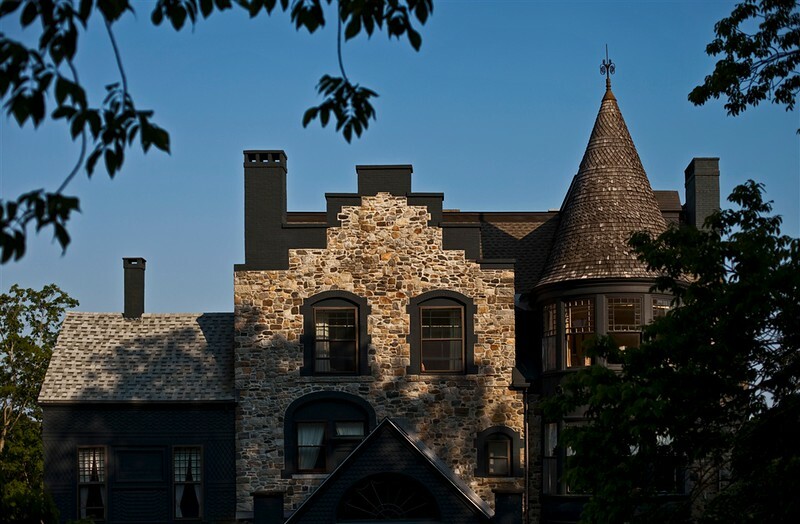 Today the Castle offers lavishly appointed guestrooms, hosts weddings and corporate events and offers estate tours. When you think of castles, North Carolina doesn’t usually pop into your mind but The Biltmore is the granddaddy of American castles. George Vanderbilt was the grandson of Cornelius Vanderbilt who amassed a fortune worth the current day equivalent of $185 billion dollars. After a visit to the Blue Ridge Mountains in 1888, George decided this was the perfect place for a summer home. Notice a lot of the Castles started off as summer homes? In 1889 George began building his 250-room French Renaissance chateau. Hundreds of workers spent the next six years building what would become America’s premier home. Once finished the home contained over four acres of floor space, including 35 bedrooms, 43 bathrooms, and 65 fireplaces. 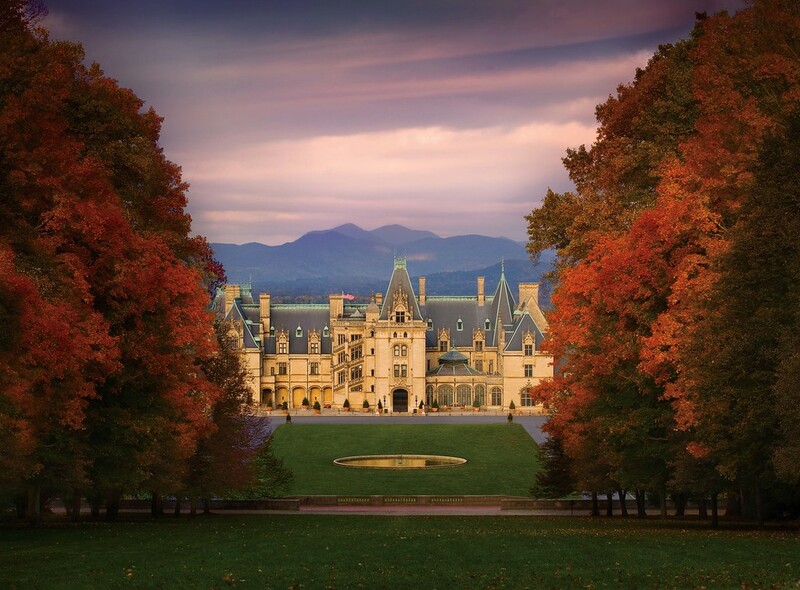 Descendants of George Vanderbilt have carried on his vision and today the estate boasts vineyards, a wine company, a 4 star Inn called The Inn on Biltmore Estate, The Village Hotel, The Cottage on Biltmore Estate along with shopping and outdoor activities on the 8,000 acre estate. There are actually a lot of American Castles, new and old, where you can spend the night or a romantic getaway. Next time you want to feel like royalty and get pampered a little check out one of these and forget for just a little while that you don’t have a lavish summer home. This is so cool! I have to put these all on my list of places to visit or spend the night. I’d especially love to stay at Thornewood. 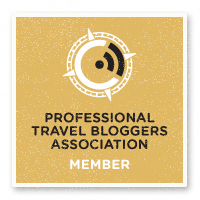 Thanks for sharing — great article. We loved staying in Castles in Europe but didn’t know that we could stay in a castle in America! That’s so fun! If you do a search you will find there are quite a few. The Castles in Spain are very different, i think. So fun. 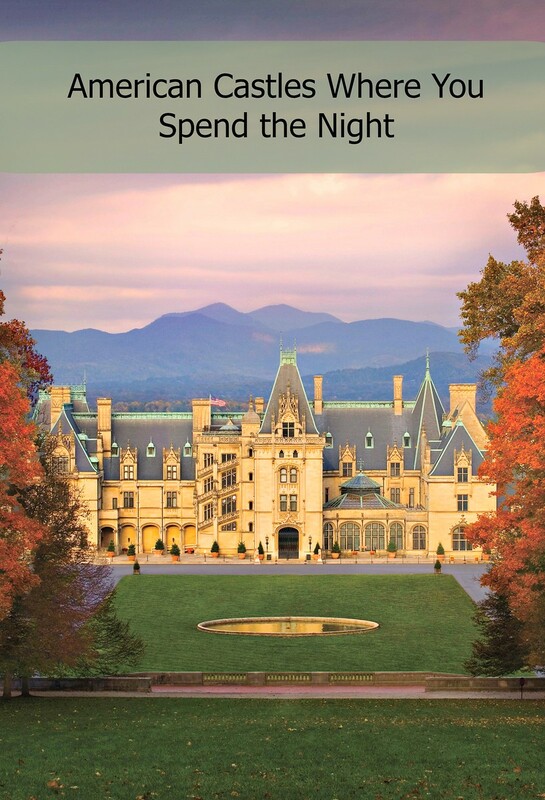 I am actually going to Asheville this summer, so I marked down Biltmore to check out! I just saw a travel show on TV about the Biltmore “castle”. I had no idea there were places like this in the United States. It’s amazing they were able to keep it in the family, too! I’ve driven by Thornwood a thousand times! I never knew you could stay there. I think I’m going to contact them right now!! Those castles are beautiful and unique indeed but I am more interested in its history. Thank you for sharing this information. I love castles because they always have some amazing history behind. These castles are just perfect!